Cyclone Promotions are delighted to announce that Cardiff’s 2012 Olympic Silver Medallist Fred Evans will make his highly anticipated professional debut on the undercard of Andrew Selby’s WBC World Flyweight Eliminator and Craig Kennedy’s British title fight, at Motorpoint Arena Cardiff on Friday May 26th, live and exclusive on Spike UK, sponsored by Maxi-Nutrition. TICKETS TO SELBY vs ROSALES ARE ON SALE NOW AND ARE PRICED £42 AND £62, WITH VIP TICKETS PRICED AT £102 AVAILABLE FROM MOTORPOINTARENACARDIFF.CO.UK & WWW.TICKETMASTER.CO.UK OR CALL 029 2022 4488. 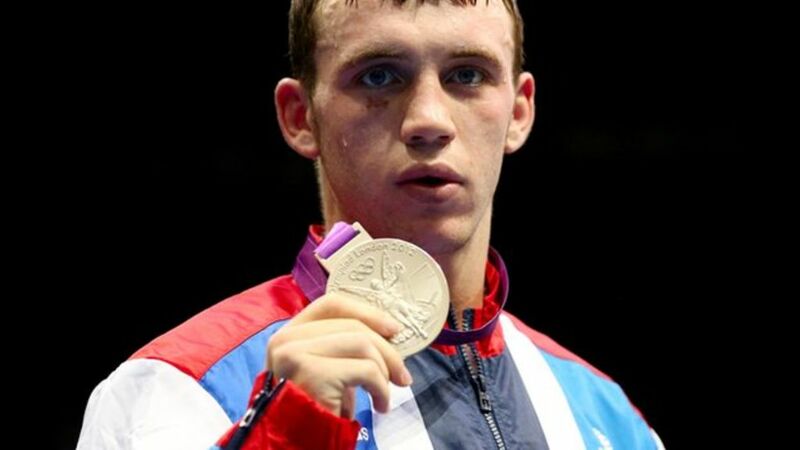 Twenty-six year old Welshman Evans achieved legendary status in the amateur ranks when he won his Olympic silver medal at the London 2012 games. Evans will be managed by experienced Bristol man Chris Sanigar and trained by Newport’s renowned coach Tony Borg. The super talented light-middleweight prospect Evans will make his professional debut on the huge Cyclone Promotions Cardiff show on Friday May 26th against an opponent to be named shortly in a six-round contest. In the co-main event on May 26th Evans’ close friend and former Olympic team mate Andrew ‘Superstar’ Selby, gets a huge opportunity to move into a prime position to challenge for the WBC World flyweight crown, currently held by Mexico’s Juan Hernandez Navarrate, when he faces off against Nicaragua’s dangerous Cristofer Rosales, 23(15) – 2, at Motorpoint Arena Cardiff. On a huge night for Welsh boxing in the Welsh capital, undefeated hometown hero Craig Kennedy boxes in the co-main event in what is sure to be the biggest fight of his career when he challenges Blackpool’s English cruiserweight champion Matty Askin for the vacant British cruiserweight title. The undercard for May 26th at the Motorpoint Arena Cardiff will be packed full of some of the best UK boxing talent. Cardiff’s undefeated 2014 Commonwealth Games bronze medalist Nathan ‘Thunder’ Thorley, 5(2) – 0, will feature in a six-round international light-heavyweight contest. Pontypridd’s light-heavyweight prospect Jermaine Asare, 7(1) – 1, will also feature on May 26th in Cardiff when he faces off against Libya’s undefeated prospect Malik Zinad, 8(7) – 0, in an intriguing clash over eight-rounds. Other local talents appearing on the big Cardiff bill on May 26th will be Barry’s undefeated cruiserweight Jonathan O’Kelly, Swansea’s unbeaten super lightweight Kristian Touze, Newport’s popular Daniel Barton and Treharris’ Gavin Gwynne.